This salad was super easy to make, and uber yummy. It's basically fruit coated in a little bit of sour cream. Yep, that's it! When I put the sour cream in, I was a little hesitant on how it would taste, but I know that Mel wouldn't lead me astray. As it turns out, Mel knows what she's talking about! I will definitely be making this again! I tasted this pasta dish at the same womanly get-together that I made these for. But, I liked my friends version a lot better than this version, for some reason. This was a little spicy for my kids to eat, so i had to make them sandwiches, and my husband and I ate this. I really liked the concept of this dish, but I'm pretty sure I'll be tweaking it to my own liking. I made this to go along side the little French Dips I just blogged about, and it was delightful! In fact, my daughter just pulled up the whole bowl of fruit and started eating. 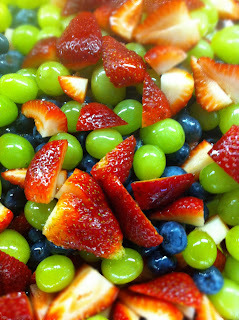 That didn't really surprise me, since she loves fruit, but the honey lime dressing just added a little extra oomph to the fruit! 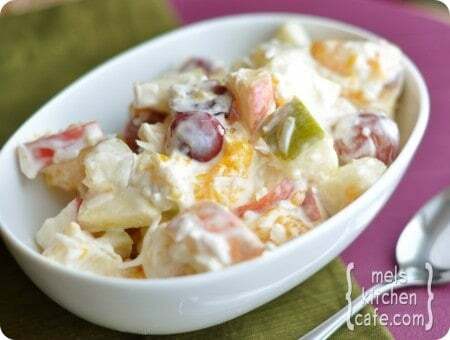 This would be the perfect side dish to a summer party, or even as a snack! Yum! Yum! I made these for a group date night we had a couple of months ago. 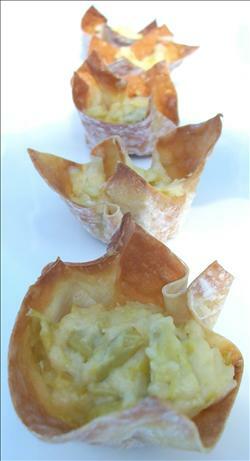 I had a jar of artichokes, and some wonton wrappers, and basically googled what I could make, and this recipe came up. It was easy to make, and extremely tasty, if I do say so myself. So I guess this technically isn't a recipe from Pinterest, since I pinned it to my board, but now it's on Pinterest, so I counted it. :) These were easy to make, and nummy to eat. I told you Mel and I were BFF's. I cannot even begin to tell you how uber yummy these are. I have made these several times, and will be making these a lot throughout the summer since minimal cooking is required. One wrap filled me up, which is saying a lot. I highly recommend you all go out and try these right now!!! I haven't actually made this yet, but I'm making it Saturday night for Christie's family... I told her about it today, and she sounded super excited to try it. I've made a Pepsi Pot Roast (which is one of my favorite ways to make a roast) so I bet this one will be just as yummy.... I will let you all know how it turns out. Pinterest has totally revolutionized my menu, and I would be utterly lost without the vast amount of knowledge and creativity that I've discovered on that site! 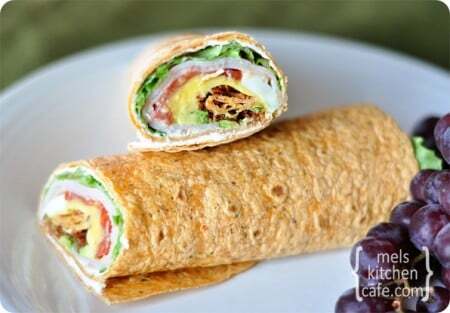 If any of you have delicious recipes you've made from Pinterest, you should share the love!! !